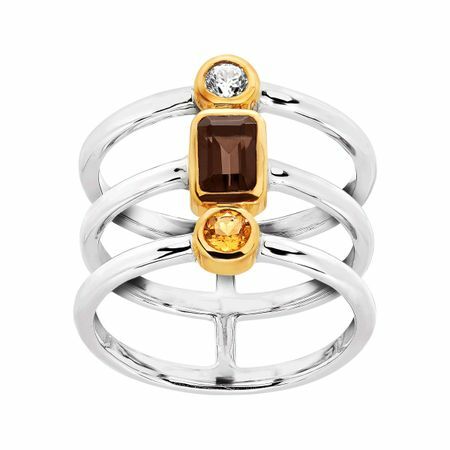 Sport this ring anywhere you go with the classic colors of earthy smoky quartz, warm citrine, and icy cubic zirconia. Sleek bands of sterling silver are joined by a central bar plated in 14K gold. Ring face measures 5/8 inches in width.